Attractive owl themed sorting set will help primary learners distinguish long vowels from short vowels. Students will love sorting picture cards into these six adorable vowel owls. Learning Resources Vowel Owls Sorting set contains engaging picture cards that helps kids in developing phonics as well as word recognition skills. 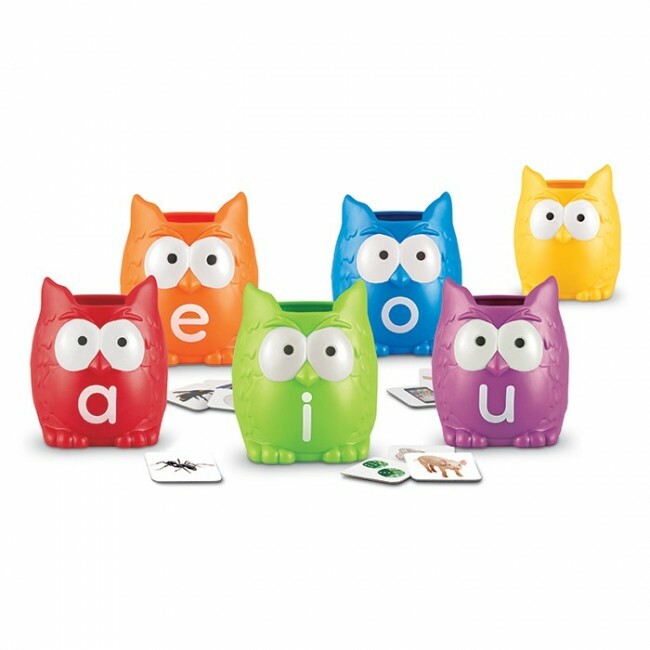 The bright coloured Vowel Owls are made from durable plastic and will support students in their distinguishing of long and short vowels.